See items marked: these items are available for the NEW 2009-Later E89 Z4. Everything you need to enhance your Z4 experience! 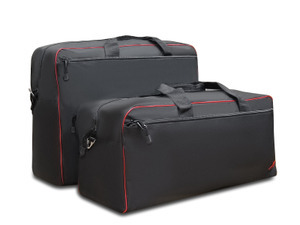 Make the most out of the small trunk space in your 2010+ BMW Z4 (E89) Roadster with this innovative 2-piece fitted luggage set, shaped to match the trunk dimensions. 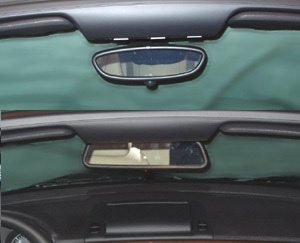 CLICK on the picture or title for additional images on how it looks in the trunk with the top down or with the top up. 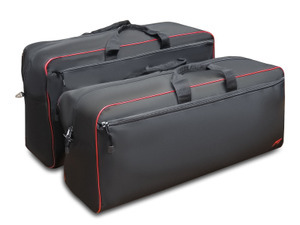 Make the most out of the small trunk space in your 2003-2009 BMW Z4 (E85) Roadster with this innovative 2-piece fitted luggage set, shaped to match the trunk dimensions. CLICK on the picture or title for additional images on how it looks in the trunk. Finally!!! Comfort for your elbow. PDK Design Products has made a winner. Installation takes only a few minutes and requires no tools, adhesives or modifications to your car. 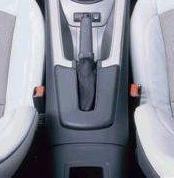 It is the perfect height for shifting (see inset picture)which is a critcal design feature for function and comfort. Plenty wide enough for two, with no "U" shaped hole in the middle. 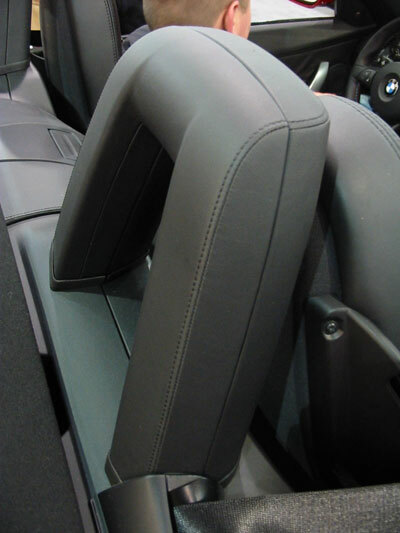 We have tested the Z4 Ultimate Armrest and give it my highest rating. 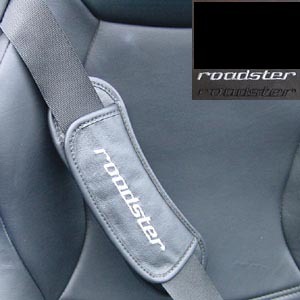 It is a 100% improvement over the stock armrest. Color BLACK. NOTE: If your Z4 does not have a "U" shaped pad behind the e-brake leather boot as shown here, this will complicate installation. 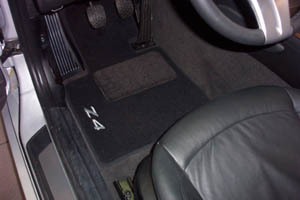 Official BMW Z4 E89 Floor Mats. Super plush with high density carpet heel pad. Sorry LEFT-HAND DRIVE CARS ONLY. Sold as a set of 2. EMBROIDERED. 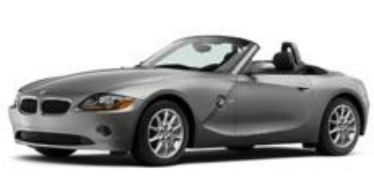 Now available for the NEW Z4 (E89) 2009-Later. Protect the interior of your Z4 with these official BMW rubber custom fit floor mats. Deep channels so water will stay on mat. "BMW" molded into the center of the mat. Select color on checkout. LEFT-HAND DRIVE CARS ONLY. 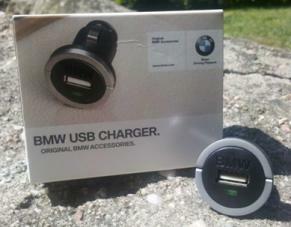 Available ONLY for the 2003-2008 Z4 (E85/E86). Make color selection at checkout. 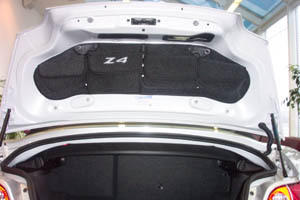 BMW Z4 All Weather Trunk Liner. Heavy duty plastic, custom fit, easy to clean. A must have accessory to keep spills away from battery! 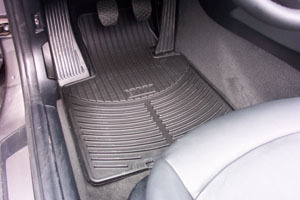 Matches black rubber floor mats. Select model Z4 on checkout. Available for the ///M coupe. Not available for the ///M roadster. 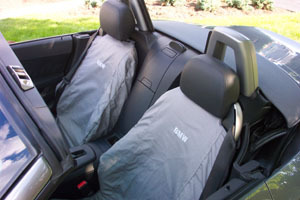 These are Official BMW OEM seat covers custom fit for the E85 (2003-2008) BMW Z4 with seats with adjustable head rests. Not available for SPORT SEATS. "BMW" lettering on each seat back. Available in BEIGE. Select color at checkout. Sold in sets of two. 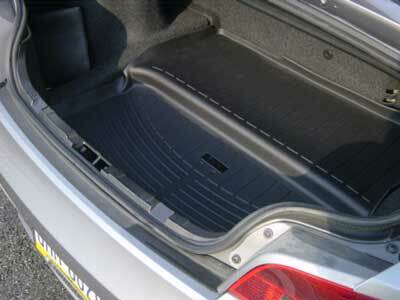 From BMW, the spacious pockets allow for storing items usually found loose in your trunk. Provides a great place for the owners manual. It takes only seconds to install with four secure push-in fasteners - instructions are included. Dark gray with "Z4" embroidery. This unit fits all E85 Z4's (2003-2008), will NOT fit the NEW E89 Z4 (2009-Later). 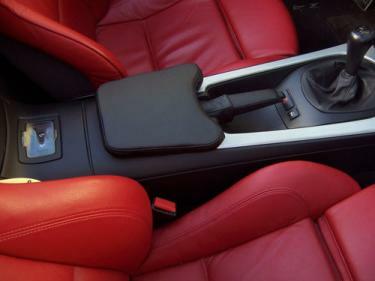 Treat your 2003-2008 Z4 to the ultimate in leather upgrades. 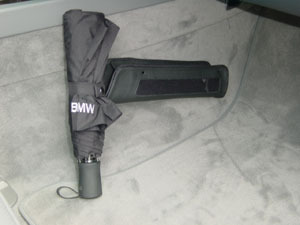 Official BMW leather covered roll hoops. Set of four halves clip together to form two roll hoop covers. Color is black. Official BMW Z4 cupholder. 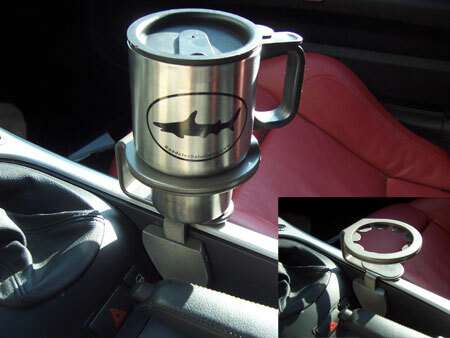 A great answer for those who desire a right hand grab cupholder for the Z4. Requires no tools to install. Top quality machined metal. 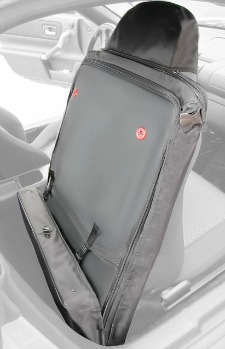 Adhesive base mounts to console, top portion is removable and come with a soft storage bag. 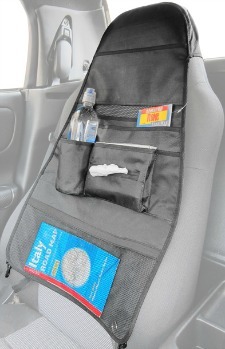 Easily stores on console compartment when not in use. Official BMW Z4 cupholder. Available for the E89 Z4 (2009-Later). 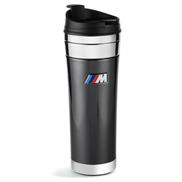 A great answer for those who desire a right hand grab cupholder for the Z4. Top quality machined metal. Inserts directly into the side of the console and it is removable. An additional trim piece may be required, select color in box below or at checkout, $11.95 additional. This BMW OEM Pedal set adds a stylish look in the footwell. 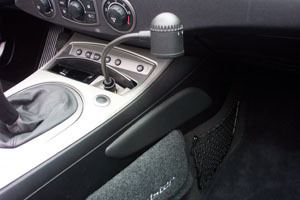 Includes a "replacement" accelerator pedal and covers for the brake and (for models with standard transmission) clutch. Unlike the pedal covers no drilling is required. Select STANDARD or AUTOMATIC transmission at checkout. NO drilling required.